Well as most of you know I am a big fan of the Kung Fu Panda movies and the show so when I received this one to review I was so happy and couldn't wait to watch it. Kung Fu Panda 3 is super fun and entertaining for the entire family. 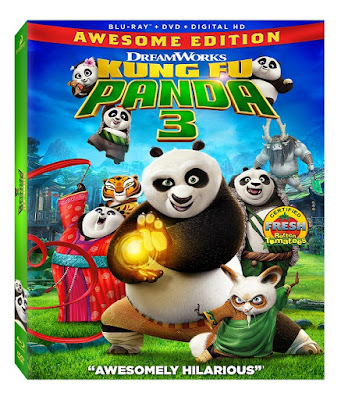 Kung Fu Panda 3 is now avalailable in stores.